2009 DISTRICT II AA CHAMPS!!!!!! Single Season and Career Records are Updated!!!!!! A number of single season and career records were broken this year. Check out those records. Chiefs' season came to a close with a 15-5 loss to Holy Redeemer. Dan Pittack finished up a brillant high school career going 3-4. Geoff Demming had 2 doubles, Eric Grabowski homered, and Cody Delfino had 2 RBIs for the Chiefs. Chiefs advanced to the District Semifinals with a 8-0 victory over Mt. View. Dan Pittack's second homer of the game was a grand slam in the 6th to put the game out of reach. Pittack finished with 3 hits and 5 RBIs. Freshmen Tyler Brady and Joe Natale each had 2 hits. Pittack went the distance allowing only a leadoff 1st inning double then retired the next 14 out of 15 hitters. He finished with 12 Ks. Chiefs opened the 1st round of the playoffs with a 8-4 victory over Wide Side Tech. Freshman Cody Delfino hit 2 home runs and drove in 3 to lead the Chiefs. Dan Pittack (3 RBIs) and Eric Grabowski each had 2 hits. Geoff Demming went a strong 6 innings striking out 8 to pick up the win. The defending District II AA Champs will open up their playoff run at home against West Side Tech Titans on Wednesday May 26. The winner will play the #2 Mt. View/#15 Mid Valley winner. Chiefs closed out the regular season with a 9-1 loss to Valley View. With the loss, the Chiefs finish at 8-6 heading into the district playoffs. Dan Pittack went 3-4 to finish the regular season with 34 hits to smash the single season hits record. Geoff Demming had 2 hits and Eric Grabowski drove in the Chiefs' lone run. Chiefs scored early and often in route to a 14-4 10-run rule victory over Mid Valley. Geoff Demming had a huge day driving in 6 runs with a 3-run homer in the first, 2-run double in the second, and a RBI single in the 5th. Demming also went 5 innings to pick up the win. Dan Pittack added 3 more hits to his total including a homer. Eric Grabowski had 4 RBIs. 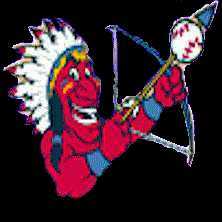 The Chiefs scored 5 times in the 4th inning to break open a scoreless tie against Dunmore and win going away 6-2. Tyler Brady had the big blow in the 4th hitting a 3-run home run. Jerud Loch got the Chiefs going with a RBI single. Dan Pittack went the distance striking out 7 to pick up the win. Chiefs' defense didn't show up committing 5 errors and gave up 9 unearned runs in a 12-5 loss to Old Forge. Dan Pittack added 2 more hits to his total of 27 to break the single season record of 26 held by Trevor Tellip. Eric Grabowski had 3 hits including a homerun and a double (2RBIs). Tyler Brady (2RBIs) and Geoff Demming had 2 hits each. Chiefs drop game to Carbondale 19-14. Chiefs'continue to swing the bats pounding out 19 hits. Chiefs pounded out 12 hits to beat Riverside 9-2. Dan Pittack (Double, 2 RBIs), Eric Grabowski (Triple, 2 RBIs), and Dan Clark each had 3 hits to lead the Chiefs. Pittack went the distance striking out 8 to pick up the victory. Chiefs had 11 hits and 8 stolen bases to defeat Holy Cross 9-6. Jerud Loch had a big day at the plate going 3-3 and driving in 3 runs to lead the Chiefs. Dan Pittack doubled twice and drove in the go-ahead run in the bottom of the sixth. Eric Grabowski, who picked up the win in relief, got things going in the sixth with a 2-out single his second hit of the game. Geoff Demming followed Pittack's double with a 2-run homer to seal the victory. Chiefs left 10 men on base and struck out 10 times in a 4-2 defeat of Dunmore. Dan Pittack and Eric Grabowski each had 2 hits. The Chiefs used strong pitching and benefitted from defensive mishaps to get by Mid Valley 4-2. Dan Pittack went the distance striking out 9 and didn't walk a batter to pick up the win. Pittack also had 2 hits and a RBI to lead the Chiefs. The Chiefs lost a pitchers' dual with Valley View 1-0. Valley View scored the only run in third inning on a swinging bunt with two outs. Geoff Demming and Dan Pittack combined on a 3 hitter. Pittack had the only hit for the Chiefs. The Chiefs took one on the chin 12-3 by Old Forge. Jerud Loch and Dan Pittack each had 2 hits to lead the Chiefs. The Chiefs improved their record to 3-0 on the season with a 8-7 victory over Carbondale. Danny Pittack had 3 hits and drove in 3 to lead the Chiefs. Eric Grabowski also had 3 hits (2 doubles) and scored 3 runs. Geoff Demming went six innings to pick up the win and Joe Natale added the save. The Chiefs outhit and outlasted Holy Cross 12-10 in 9 innings. Danny Pittack lead the way with 5 hits including a ball that has not landed yet for a home run in the top of the 9th. Pittack also drove in 4. Freshmen Joe Natale and Eric Grabowski (3 RBIs) each had 3 hits apiece including a double and triple each. Grabowski picked up his first career varsity win in relief going 6 innings. The Chiefs opened up their 2010 season with a 3-2 win over Riverside. Danny Pittack was completely dominating. He went the distance facing the minimum through 6 innings and finishing with 10 strike outs and didn't walk a batter. Pittack and Kevin Carito each had a RBI single in the 1st inning to lead the offense. The Chiefs closed their exhibition season with a record of 2-3. On Friday, the Chiefs split their doubleheader with a loss to Dallas and a victory against Mt. View. On Saturday, Carbondale out hit the Chiefs for the win. The Chiefs will open up their 2010 season vs. Holy Cross on Friday April 9, scheduled at Penn State Worthington's field in Dunmore. 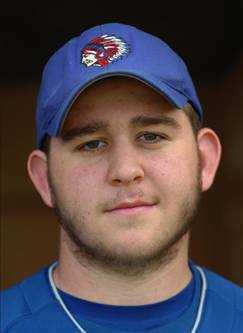 The 2010 Lakeland Chiefs opened the season with a bang, pounding out 5 homeruns in the doubleheader split with Bristol. With the temperatures reaching 75 degrees, Lakeland's 4 freshmen each homered in the 1st game lifting them to a 17-0 win. Jerud Loch, Dan Clark, and Joe Natale combined for the shutout. In game 2, Geoff Demming picked up where he left off during last season's playoff run hitting the long ball but is wasn't enough as the Chiefs were defeated 9-8. Chiefs 2009 District II AA Champs!!!!!!! If you or someone you know was omitted it was by accident. When doing the research for the records I poured over 23 years of Stats that Coach Vadala provided. He received the early years from Coach Doud. Thanks to both Coaches for the Stats.